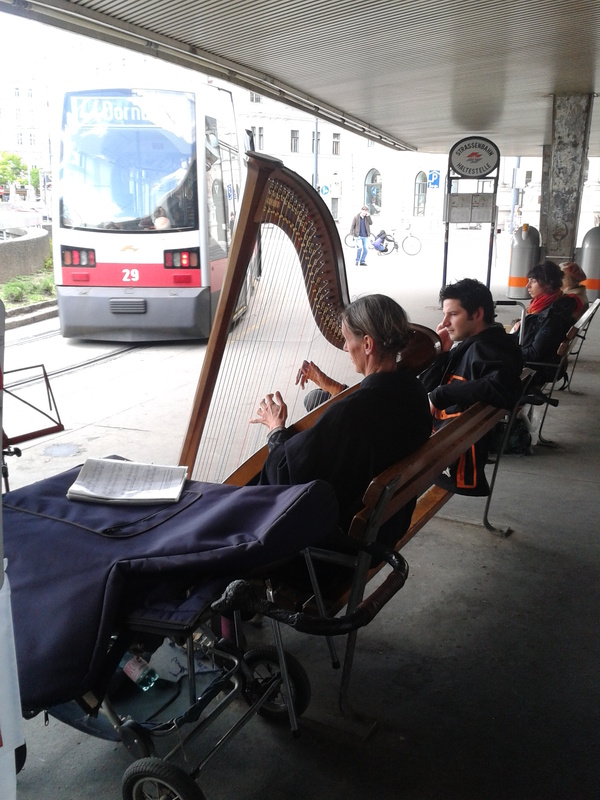 One day I got off the tram and almost tripped over a big harp. 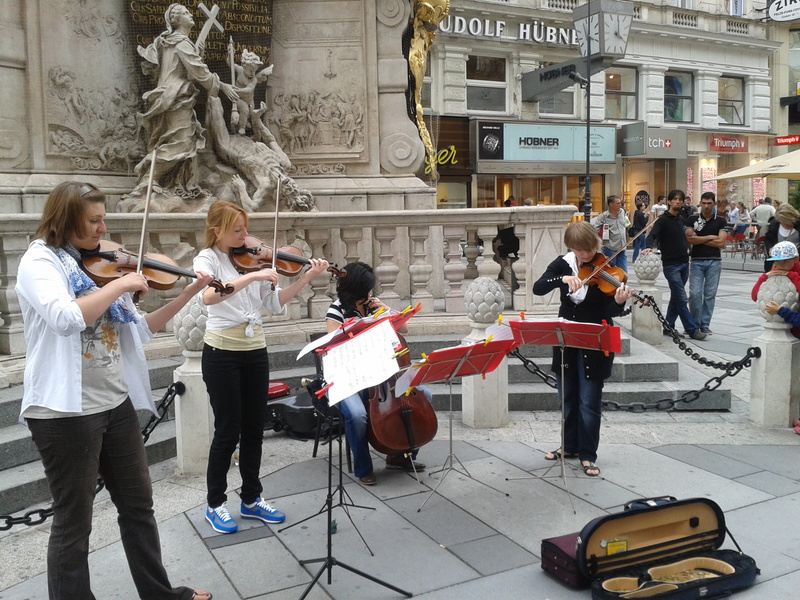 That’s the thing about Vienna; musicians and artists, nay artistes, are everywhere. Many people I have met through teaching and in my German classes have been here solely to study piano, music or dance. The ghost of Mozart wanders all around the city. You can’t walk down a street without a proud sign announcing the fact that Mozart once stayed there for a week back in the late 1700s. You soon realise that he laid his head down to rest in a lot of places around town, as did Schubert and Beethoven. The influence of the classical masters floats through the streets of the first district as the buskers, not your average pop-playing guitarists, belt out opera classics and lug their violins and even their harps around to serenade the shoppers. The Opera runs summer concert specials until the end of September, which do a best-of of all the musical masterpieces of the most famous operas and classical musicians. And now onto another type of art; that being graffiti, and the so-called artist who recently managed to wind up everyone in the city. 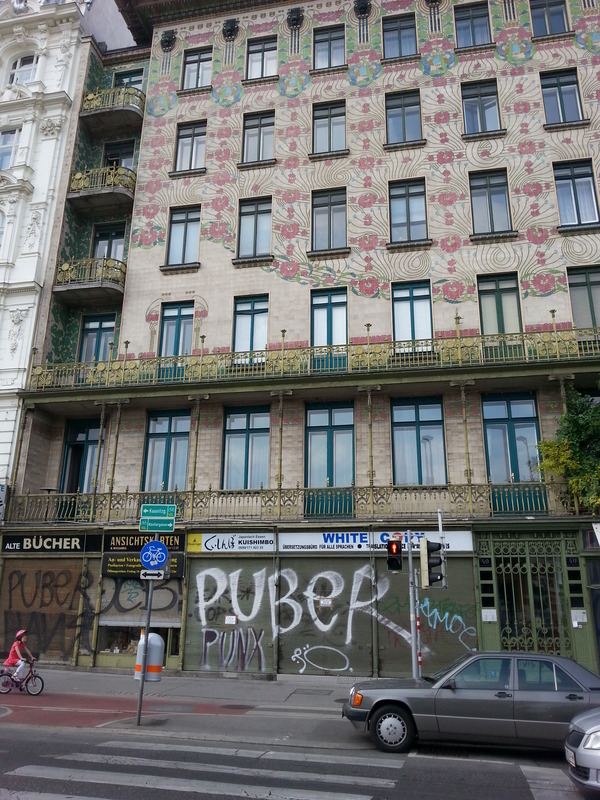 A guy who went by the name of Puber had a terrible habit of spraying his name on most of the buildings in Vienna. His scrawl can be seen daubed everywhere, around the 8th and 9th district especially. Here’s one particularly beautiful Wagner building he defaced with his brand of art. The citizens of Vienna recently rejoiced when Puber, a Swedish guy in his thirties, was finally caught and charged. The most centrally located one is the area around the canal, which provides a decent amount of wall space, and the work there varies from people just having a go and trying it out, to those perfecting their tag, to the more talented artists producing larger pieces. 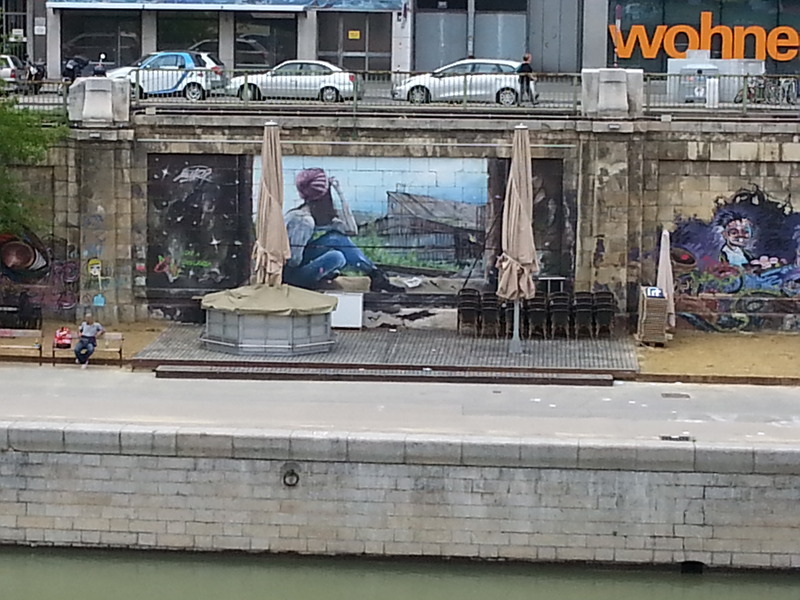 Here is a current work near Schwedenplatz this is very enjoyable. So, if you are ever tempted to leave your “So-and-So woz ‘ere” stamp on the city, you know where to go.